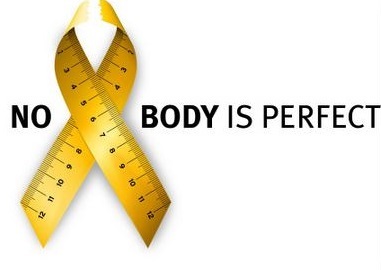 In the UK, eating disorders are more common than most people think. In fact, healthcare professionals assert that approximately 1.4 million men, women, and youth contend with an eating disorder like anorexia, bulimia, and binge eating. That is a lot of suffering occurring right there. An eating disorder can be classified as a disorder in which one focuses on food much of the time and finds it difficult to focus on other things. Experiencing such a disorder can pose many health threats and can even become life-threatening. Those that suffer with an eating disorder have a difficult time recognizing that they do. It is usually family members or friends that become concerned about their behaviors associated with food. They may begin to lose weight rapidly and/or take exercise to an addiction level. They may obsess about food, preparing delicious meals or becoming obsessed with recipes, yet they will only eat tiny bits of foods themselves. They may continually talk about how overweight they are, even though they are not. An eating disorder can literally take over your life. Along with obsessing about food, you may begin to experience a host of negative emotions like sadness, anxiety, anger, frustration, shame, and more. You may also become fatigued, having little energy to go about your normal daily routine. If you think you are struggling with an eating disorder, it is important that you be courageous and seek professional help for the matter. No, it might not be easy to pick up the phone or email for an appointment with a counselor, but it is the very first step to overcoming the eating disorder and the emotional and/or mental problems that may accompany it. What are some red flags when it comes to eating disorders? If you recognize yourself in some of these symptoms, you should consider seeing a professional for an assessment. You could very well be suffering from an eating disorder. Biological Issues. Some theorize that sufferers could be predisposed to genes that make them more vulnerable to experiencing an eating disorder. Psychological Issues. Some people that struggle with eating disorders have psychological or emotional issues that may contribute. They may have low self-worth, shame, or have suffered some trauma at some point in their lives. Societal Issues. For those that live in the West, society tends to equate thinness with beauty and success, which is completely false. The media promotes this often, so it is important that men, women, and youth recognize that this type of reinforcement is simply hogwash. Should you feel you are struggling with an eating disorder, you may benefit greatly from counselling. You can learn to manage your symptoms and cope with stress and negative emotions with positive coping skills. As you contend with any underlying issues, freeing yourself from the pain and suffering associated with it, you might become more confident and happy with yourself- inside and out!